Downey Daily Photos: What is that? On my hike the other day, I kept seeing this weird, almost creepy, plant covering other plants throughout the hills. 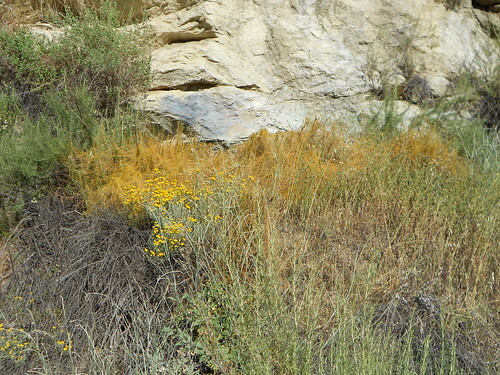 Back home, I looked it up and it is a parasitic weed called the "California Dodder." It's less creepy when you actually read up on it. Click here for more information on it. You see alot of this "weed" growing along the 210. It doesn't seem to be expanding very fast--hope someone or thing gets rid of it.